57C445 In Stock! 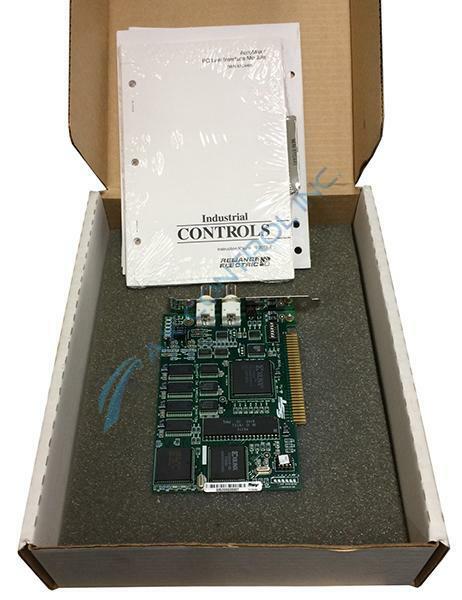 Reliance Electric AutoMax PLC | The Reliance Electric 57C445 AutoMax PC Link Interface allows an IBM computer to function as a drop on the AutoMax DCS-NET and Remote I/O networks. Typical applications include data collection, statistical process control (SPC), process monitoring, man/machine interface, diagnostics, and system start-up and commissioning. The Reliance Electric 57C445 AutoMax PC Link Interface allows an IBM computer to function as a drop on the AutoMax DCS-NET Remote I/O networks. Typical applications include data collection, statistical process control (SPC), process monitoring, man/machine interface, diagnostics, system start-up commissioning. What does 57C445 do for the AutoMax network? 57C445 was designed to make any AT-bus personal computer function as a drop on the DCS/AutoMax Network or the DCS/AutoMax Remote I/O Network. Can more than one 57C445 be used for a personal computer? Yes multiple 57C445 modules can be installed in a personal computer, but the number of 57C445 modules depends on the amount of expansion slots available as well as the amount of memory left on the computer. When using multiple 57C445's, each is configured separately. How many status LEDs are on a Reliance AutoMax 57C445? 57C445 has two status LEDs. The LEDs are located on the rear of the 57C445 module. One LED on 57C445 is red and one is green. When a personal computer is powered up, both LEDs on 57C445 will light up. Where can I retrieve the manual for 57C445? We have the manual for 57C445 for you. You can stop by our office to pick up the manual or we can easily send you the link to the manual for 57C445. The manual is Manual J2-3011, The AutoMax PC Link Interface Module Manual specific to 57C445. What is the size of 57C445? 57C445 is 4.2 by 6 inches.